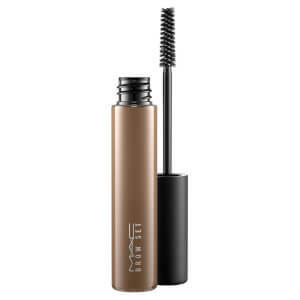 The MAC Pro Longwear Waterproof Brow Set is a non-greasy eyebrow gel that helps fix stray hairs into place and build enhanced shape and definition with incomparable staying power. 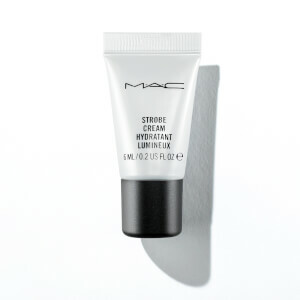 Sweat and humidity resistant, the long wear, waterproof formula lasts for up to 8 hours without clumping, flaking or smudging, adding a healthy looking sheen with an array of highly pigmented shades to match any hair colour. The small spoolie brush allows for smooth and even application, working to fill sparse gaps and uneven patches with flawless precision for a truly natural looking result. 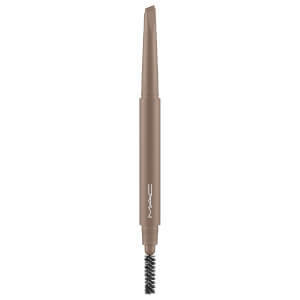 Brows appear fuller, thicker and groomed to perfection. Isododecane Water/Aqua/Eau, Trisiloxane, Sorbitan Olivate, PTFE, Dimethicone Silylate, Sorbitan Tristearate, Polyisobutene, Pantethine, Panthenol, Kaolin, Cholesterol, Methicone, Diisopropyl Adipate, Trihydroxystearin, Copernicia Cerifera (Carnauba) Wax/Cera Carnauba/Cire De Carnauba, Microcrystalline Wax/Cera Microcristallina /Cire Microcristalline, Silica, Silica Silylate, Nylon-6, Hectorite, Propylene Carbonate, Trimethylsiloxysilicate, Quaternium-90 Bentonite, Caprylyl Glycol, Hexylene Glycol, Phenoxyethanol, Magnesium Salicylate.